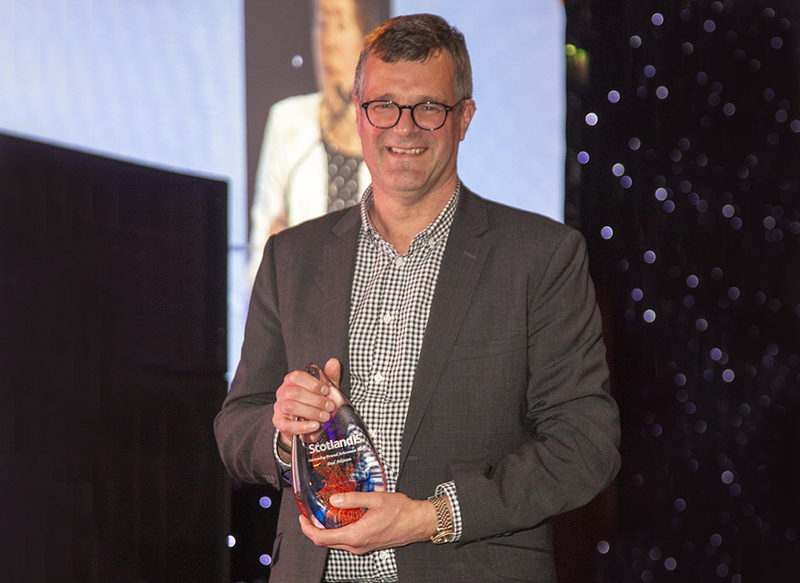 Recruitment and investment entrepreneur, Paul Atkinson has been recognised for his services to the technology industry in Scotland by ScotlandIS, the industry body for Scottish software, telecoms, digital and IT businesses. The Outstanding Personal Achievement Award was announced on Thursday 27th September 2018 at ScotSoft, the annual festival of ideas and innovation delivered by ScotlandIS. Atkinson, who is a founding partner of the Par Equity investment business, founder of IT and digital recruitment firm Head Resourcing, and Executive Chairman of newly-formed recruitment business, Taranata Group, is a serial entrepreneur. He sold his first recruitment businesses in 1998, and since then has invested in a number of businesses in the technology and recruitment sectors. His first significant investment was with Learning IT, which was subsequently sold in an MBO. He then invested in a further 16 companies, many of which went on to successful exits, including Mobiqa and Rocela. Par Equity has invested over £100 million in 47 companies. In October 2017, Paul launched Taranata Group, along with a vision to build a £100m supergroup by 2020. The group currently comprises four established recruitment brands operating in the UK and internationally, and is currently on the acquisition trail.